Are you looking for ways to get you and the little ones to volunteer together for a good cause? Look no further, spend a morning at the Children's Book Bank introducing your kids to volunteering! All families with children ages 4 and up are invited to come and lend a hand at The Children’s Book Bank at this 100% family-friendly volunteer session. 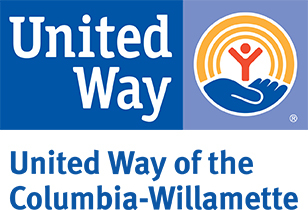 Come and spruce-up gently-used community donated children’s books, which will later be distributed to low-income preschool children in the Portland area! At this fun family-friendly session, we will give special attention to the kids to spread the love of volunteering and make cleaning books fun! It's more about quality than quanity and we want everyone to have an enjoyable time while doing something good for other kids! Specific tasks include wiping covers, taping torn pages, erasing scribbles, covering inscriptions and reinforcing worn spines. Parents help their kids these tasks. At the end of the session, every kid can select a fun prize from our treasure box to take home. Show your kids that helping others can be fun and rewarding at the same time! The book gap: For children in poverty, one of the biggest obstacles to literacy development (which begins at birth) is the scarcity of books in the home. While the ratio of books to children in middle-income neighborhoods is approximately 13 books to 1 child, the ratio in low-income neighborhoods is a mere 1 book to 300 children. The Children’s Book Bank narrows the book gap by providing the community with a place for families donate the books their children have outgrown, moving thousands and thousands of children’s books into the homes of kids in need. Volunteers must be 4 years of age or older to attend this project and need to be accompanied by a parent or adult chaperone. ALL volunteers must attend as part of a family group. The best way to meet this requirement is to create a Volunteer Team, then sign up your team for this project.